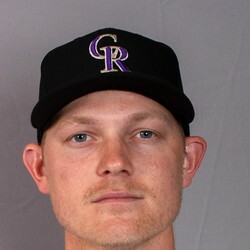 The Rockies recalled Valaika from Triple-A Albuquerque after infielder Daniel Murphy was officially placed on the 10-day IL with an avulsion fracture of his left index finger. Valaika fared well during Spring Training, batting .286 with four home runs and 13 RBIs in 50 plate appearances. But after hitting just .156 with two homers and five RBIs in 133 PAs in 2018, he doesn't have much fantasy value at this point.